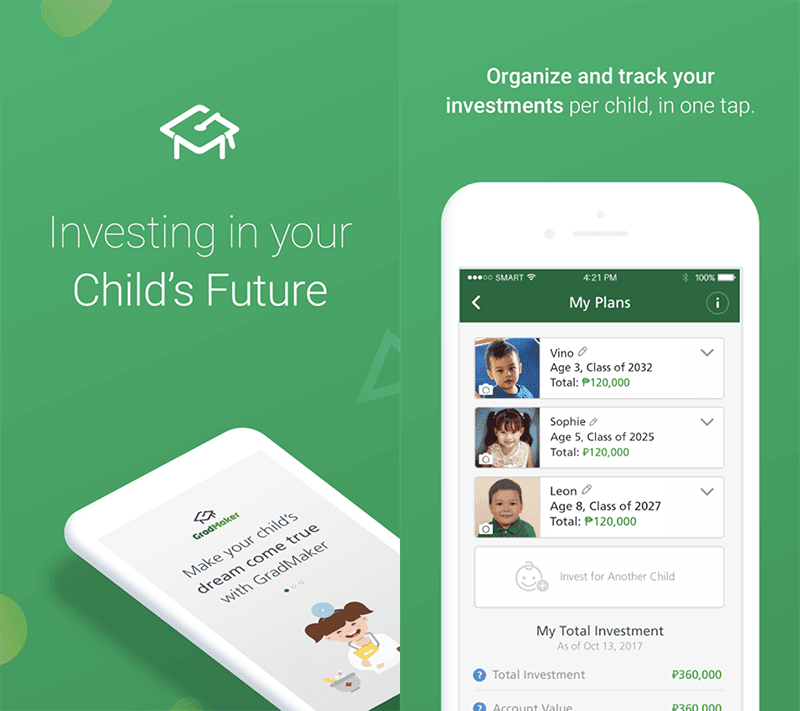 Manulife Philippines launched an app that will help young parents save up for their children's future. This is the first of its kind and is called GradMaker. GradMaker is the first mobile app in the investment industry that is specifically made to assist young parents save up for their kids' college education. This brings this investment opportunity to their fingertips which makes it simpler and more accessible. Most of the young parents are too busy to meet up with investment counselors or financial advisers. Some of them even think that investment plans like this gets too expensive. For only PHP 10,000, you can already invest in GradMaker and there is no lock-in period to worry about. This will give customers the flexibility to decide when they want to invest. It will also give customers the chance to scout the projected college education costs at their preferred local university or college by the time their kid is ready to go to college. GradMaker will also invest in professionally managed funds like stocks and bonds to help customers secure a long term growth. It also gives an insurance coverage of at least 125% of the customer's single premium. GradMaker is available on iOS (version 10 and up) and Android (6.0 and up).